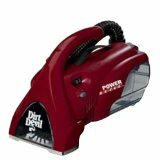 Dirt Devil Handheld Vacuum Buyers Guide. 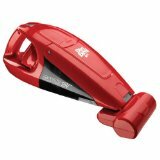 Dirt Devil Handheld Vacuum M08230RED Ultra Power has the power of a full size upright, yet is small enough to carry around to do stairs, your car, and more. The 4 amp motor has a powerful suction with a revolving brush to aid in cleaning deep into your carpet. For those hard to reach places the hand vac comes with a built in stretch hose and a crevice tool. Features 2 speeds, a 20 foot cord, and a cord strap for storage. Comes with a 2 year limited warranty. Uses Type G Bags, and can use the 5-Piece Hand Vac Kit. Dirt Devil Handheld Vacuum M0105 For Pets. Specifically designed to remove pet hair and other allergens from the home. Features a motorized brush for lifting stubborn pet hair, a 5 piece tool set, pet hair upholstery brush, belt, and a HEPA filtration system that traps pet dander and other allergens. Great for cleaning up pet food spills and spilled kitty litter. 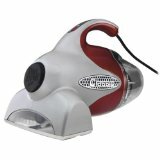 MCV2000 Detailer Cordless Keyboard & Car Mini Hand Vac. Features 3.6 volts for cleaning your computer keyboard, car interior, telephone, and more. 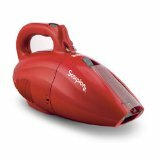 Bagless and cordless design provides concentrated suction power and removes dirt and debris quickly and efficiently. Dirt Devil Handheld Vacuum is provided with a charging base for recharging that takes up very little space and will fit almost anywhere. The 8 piece Vac Micro Attachment kit will work with this model of hand vac. 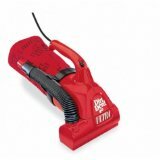 Dirt Devil Handheld Vacuum 100 Classic Bagless. Features a 7 amp motor and motorized brush which is more than double the power of the original Dirt Devil. Features a 5 piece tool kit for cleaning upholstery, cars, drapes and more. Dirt is held in a bagless dirt cup that is easy to empty. The HEPA Filter removes almost all of the dust and allergens in the air. You get a comfort grip handle, lightweight design, nozzle that is 6.5 inches wide, 20 foot cord, filter adapter, replaceable filter, and a metal nozzle guard. Comes with a 3 year warranty. M0216 Kurv Handheld Vac Cleaner. Very stylish Dirt Devil Handheld Vacuum designed by the industrial designer Karim Rashid. Unit is cordless and has a charging base for recharging and for storage. The dirt is sucked into a dirt cup that can be removed by twisting it off for emptying. Only weighs 2 pounds, has a soft tip, a replaceable filter, and has a 3 year limited warranty. 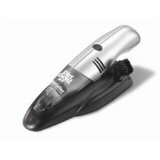 Dirt Devil Handheld Vacuum BD10000SLV KWIK & Detailer. Features a USB-powered charger, Lithium Ion technology that uses a 3 4/5 volt battery, 1.5 inch wide nozzle, dirt cup for bagless cleaning, crevice tool and dusting brush, cordless design, and comes with a 2 year limited warranty. 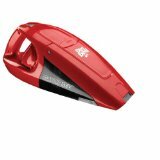 Dirt Devil Handheld Vacuum BD10175 Gator Energy-Star 18-Volt Cordless. 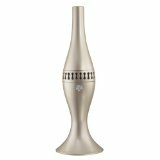 Features a 2.25 inch wide nozzle, cordless design, and is lightweight for easy handling. The filter is reusable and rinses clean, easy to empty dirt cup, and a D-shaped handle. Includes a charger, power brushroll attachment, and a built-in crevice tool. Comes with a 3 year limited warranty. BD10100 Gator 10.8-Volt Cordless Handheld Vac. Features a built-in crevice tool for cleaning those hard to reach places such as along baseboards and between couch cushions. It is very lightweight making it easy to handle, has a bagless clear dirt cup that is easy to empty, features a thumb-activated on/off button, 2.25 inch wide nozzle, and has a reusable filter that can be rinsed clean. Comes with a 3 year parts and motor warranty, and a charger that recharges the battery to a full charge in 24 hours. 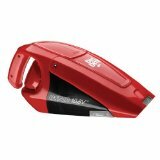 M08245X Power Reach Hand Vac is a bagless vac with a powerful suction. It is powered by a 6 amp motor, features a stretch hose, crevice tool, transparent dust cup, and a detachable head. The dirt cup contains an internal filter, a revolving brush roll is located in the nozzle head to loosen dirt and agitate carpet fibers. Unit comes with a 3 year warranty. 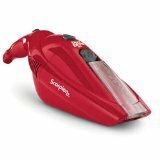 SD20005 Scorpion Quick Flip 7 AMP Hand Vac. Features a 16 inch power cord, on-board crevice tool, bagless cup that is easy to empty, thumb-activated on/off, flexible hose, flip-down crevice tool, and a dusting brush. 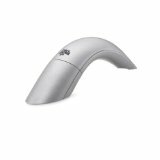 BD10050 Scorpion Quick Flip 6.0 Volt Cordless Hand Vac. Features an ergonomic handle, lightweight design, thumb-activated on/off switch, oversized bagless cup, rechargeable, fits into tight spaces with the onboard flip-down crevice tool, and a retractable brush strip. 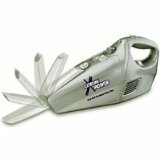 M0914 Extreme Power Hand Vac is affordable and has plenty of power for a cordless vac. Features an extra large dirt cup so you don't have to empty the cup as often. 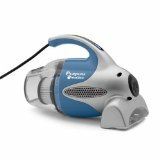 BD10125 Gator Energy-Star 15.6-Volt Cordless Handheld Vacuum Cleaner. Features plenty of suction, is cordless and lightweight, has a 2.25 inch wide nozzle, dirt cup that is easy to empty, filter is reusable and can be rinsed clean, includes a charger, handle is d-shaped, and it comes with a 3 year limited warranty. BD10165 Gator Energy-Star 15.6-Volt Cordless Handheld Vacuum Cleaner with Detachable Brushroll. Comes with a 3 year warranty. Includes a charger, power brushroll attachment, and a built-in crevice tool. 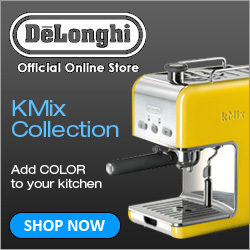 Features a reusable filter, d-shaped handle, dirt cup for bagless vacuuming.